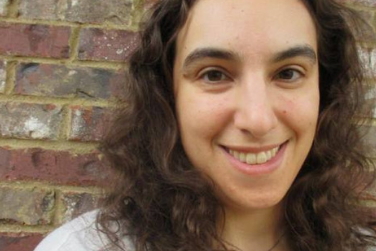 Naomi Graber, Assistant Professor of Musicology at University of Georgia and Weill scholar, will present "Ghetto Pastoral: Street Scene, Jews, and the Transformation of American Folklore" as part of the Kurt Weill Festival. View Street Scene performance times. After World War II, American Jews felt their place in society was precarious, given the burgeoning Cold War and frequent associations between Jews and Communism. Kurt Weill and Elmer Rice’s Street Scene (1947), which critics labeled a “folk opera,” responded to this challenge. The idea of an urban “folk opera” shows that, by the mid-1940s, the idea of “folk” had shifted away from the rural communities of the Copland ballets and Rodgers and Hammerstein musicals of the previous ten years. Rice’s original 1929 play Street Scene is what Michael Denning calls a “ghetto pastoral,” a genre that arose in the early 1930s depicting violent, yet innocent coming-of-age stories in ethnic or black urban working-class neighborhoods, combining naturalism and allegory to prove that urban communities could produce a new style of folk hero. Within this pastoral-folkloric atmosphere, Jewish characters take center stage. Sam Kaplan, the Jewish hero of Street Scene, is the moral center of the community, and sings in the most folkloric genres, cementing his status as a true “American.” He also presents a strong contrast to his father, an ardent Communist, proving that second-generation immigrants could assimilate, even if their parents could not. Still, notes and drafts for Street Scene reveal that Weill and Rice struggled with both characters. Over the course of production, Sam became more traditionally “heroic,” while his father’s Communist leanings were significantly toned down. Street Scene thus demonstrates the difficulties of inserting Jews into American folklore in a post-Holocaust United States.